A lovely panda in Chongqing zoo. 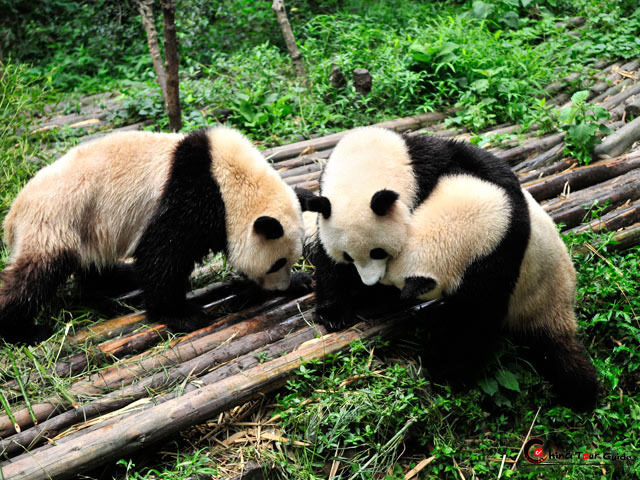 Three pandas are eating bamboo shot. 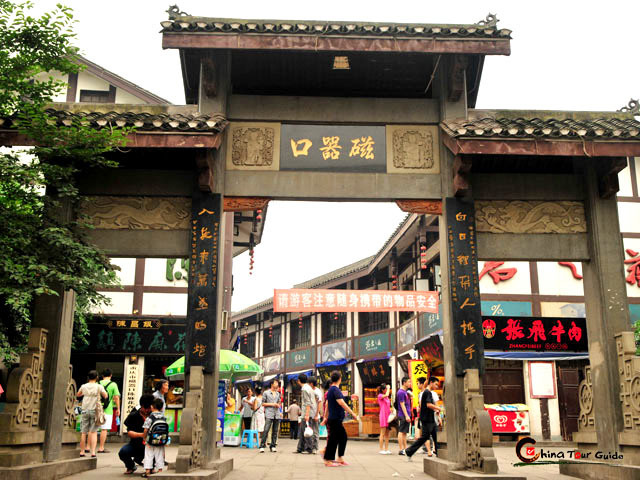 The zoo serves as both a reserve and the base of the breeding program for giant pandas, lesser pandas, South China tigers, and other endangered species. During recent years, the zoo has expanded and added a new Antelope Room, Elephants Room, Giraffes Room, Panda Room, Orangutans Room, and Avian Room to further protect endangered species. 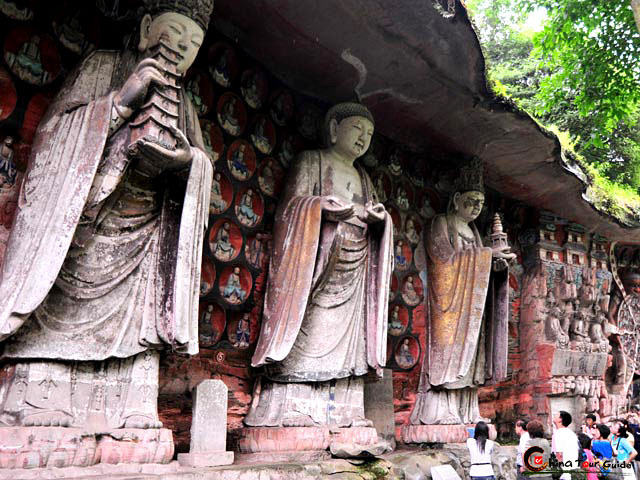 The Tea Garden provides a place to relax and rest your feet after taking in the sights. Another breeding base for endangered animals is under construction. The children's theme park, skating rink along with the stage, reading rooms, and restaurants will be opened every day. The zoo is surrounded by beautiful mountains with abundant natural scenery, making it a true treasure in the area. 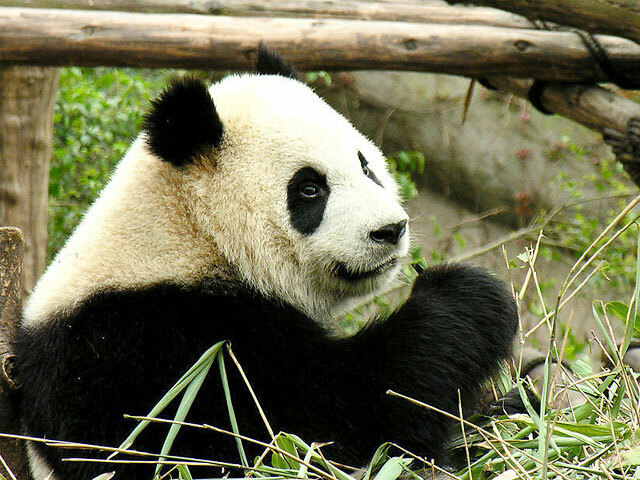 The Panda Bear is the symbol of China and a national treasure. 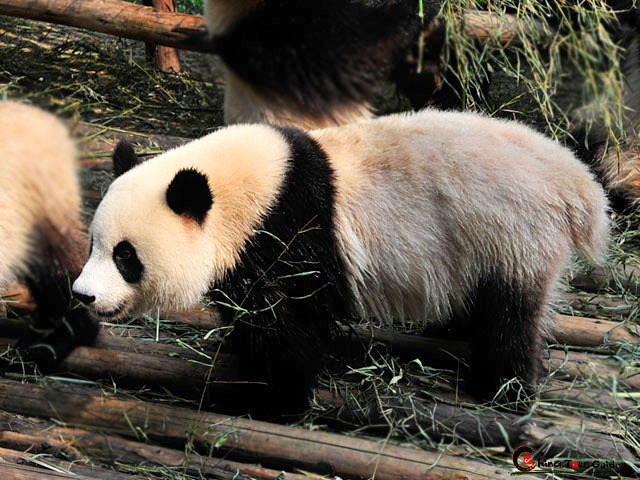 Its popularity and the excellent Panda exhibits attract tens of thousands of people. In 2006 there were only 1758 pandas in the world. Opportunities to see this grand creature are dwindling with the species. It is the goal of the zoo to not only give you this opportunity, but to also make more opportunities for future generations through breeding. The program is already successful as the zoo's panda, Yaya, gave birth to Longxing in 2007. Now you can visit them from 8:00AM to 6:00PM everyday.